The Clinton Industries Mobile Tri-Panel Mirror is a specially designed reflective device with three 1/4" thick distortion-free glass mirror with American National Standards Institute (ANSI) 297 safety backing and an almond-finished laminated back. 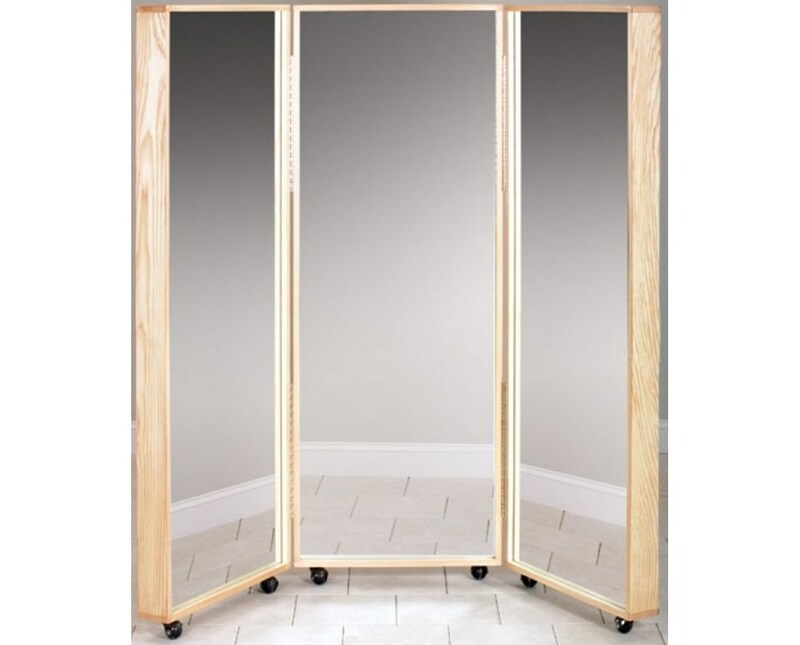 Constructed with a hardwood plywood frame, the Tri-Panel Mirror's view angles can easily be adjusted and because of its 3" swivel casters, it can easily be rolled throughout the facility if need be. 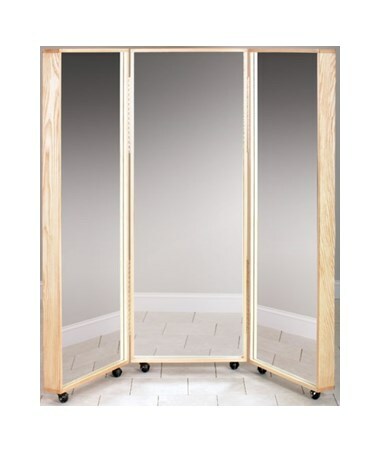 The Clinton Industries Mobile Tri-Panel Mirror comes with an individual panel width of 25", a 60" width for all three panels being opened and a height of 70". It makes it a great choice for patients or users in a physical therapy, exercise or rehab facility. Individual Panel Width of 25"
Open Panel Width of 60"